The Scotiabank Toronto Waterfront Marathon, Half-Marathon & 5k Run / Walk is organized by Canada Running Series Inc., organizers of the Canada Running Series, "A selection of Canada's best runs!" Canada Running Series annually organizes eight events in Montreal, Toronto and Vancouver that vary in distance from the 5k to the marathon. 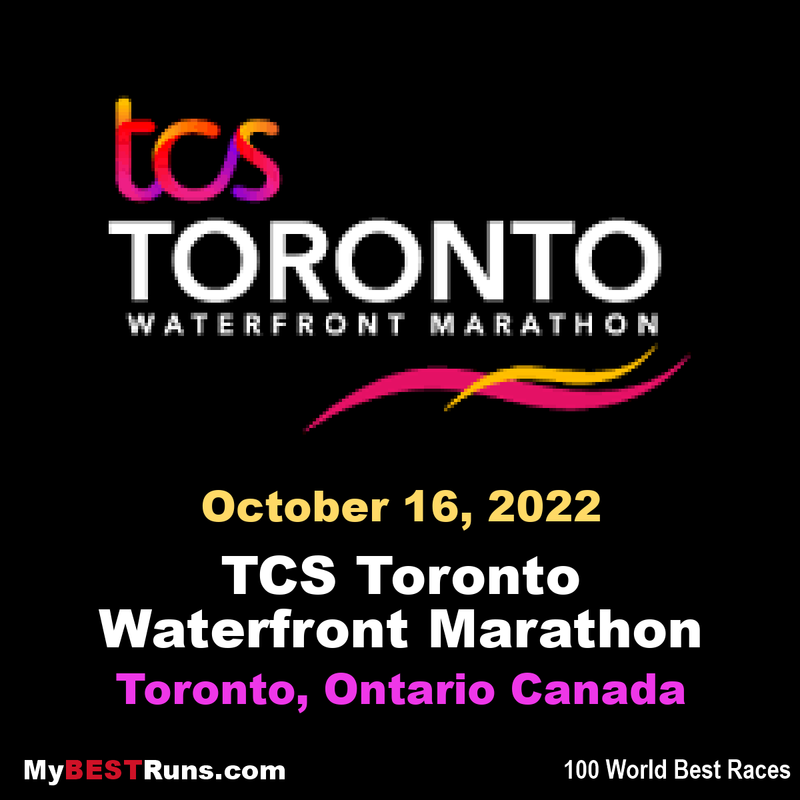 The Scotiabank Toronto Waterfront Marathon and Half-Marathon are fully sanctioned by AIMS (Association of International Marathons and Road Races) and Athletics Canada. The 5k event is sanctioned by Athletics Canada. The marathon is a 2-year official Boston Marathon qualifier. 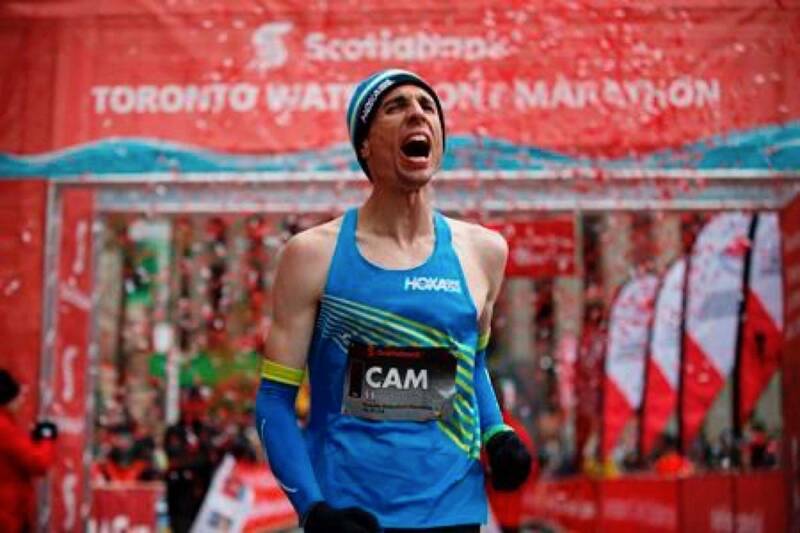 (2018) Cam Levinshad the marathon debut of his life Sunday (Oct 21) at the Scotiabank Toronto Waterfront Marathon, crossing the finish line in 2:09:22 and breaking Jerome Drayton’s Canadian national record of 2:10:09 in the process. That record comes with a $43,000 (CAD) payday–$1,000 for every year the record has stood. Levins finished fourth . Kenya’sBenson Kipruto, 27, was the overall winner clocking 2:07:21, withMimi Beleteof Bahrain winning the women’s marathon and breaking the course record of 2:22:43.Cam was certain a record was within his grasp at the 40K mark.The final two kilometers went by so fast for him that it seemed like a sprint. “It was pretty much a blur, especially the last half-kilometre,” Levins said. “Everything was flying by at that point. "The 29-year-old from Black Creek, B.C., did his best to focus on the finish line where his wife, Elizabeth, mother, Barb, and father, Gus, were waiting. He eclipsed a national record by former long-distance champion Jerome Drayton – and by a substantial 44 seconds. “It is such an old record, it is nice to be the one to take it down,” Mr. Levins said. “It’s a good one to check off the list."